Sanjay Dutt : for blessing him with wife Maanayata as they celebrate 11th wedding anniversary. HomeSanjay Dutt & MaanayataSanjay Dutt : for blessing him with wife Maanayata as they celebrate 11th wedding anniversary. Sanjay Dutt and Maanayata have completed 11 years of togetherness today. Whether it is posting mushy messages for each other or dancing away on a Saturday night, the couple have kept the romance alive in their relationship. On this occasion, they took to Instagram to wish each other with some thoughtful and romantic words. Sanjay Dutt wrote, I can't thank God enough for blessing me with a beautiful woman like you, who I have the privilege of calling my wife! Happy anniversary. The rockstar of Bollywood is presently working on the historical epic, Panipat that also stars Arjun Kapoor and Kriti Sanon. Maanayata has been a pillar of support in Sanjay Dutt's life and he is presently enjoying family life to the hilt. They are blessed with two kids, Iqra and Shahraan. Last year when Sanjay turned 59, Maanayata wrote, A darling husband, a comforting father and the reason behind our smiles. Thank you for everything that you do for us. So blessed to have you in my life. Happy birthday love. Mom and dad will always be proud of you. Stay tuned to Bollywood Life for more scoops and updates. Maanyata is Sanjay Dutt's third wife. He was married to Richa Sharma from 1987 to 1996. Richa died due to brain tumor. Trishala is Sanjay Dutt and Richa's daughter. He then married Rhea Pillai in 1998 and the couple divorced in 2005. Sanjay Dutt married Maanyata in 2008 in a private ceremony in Goa. They are parents to eight-year-old twins Shahraan and Iqra. Maanyata and his children Shahraan and Iqra make frequent appearances on Sanjay Dutt's Instagram timeline. 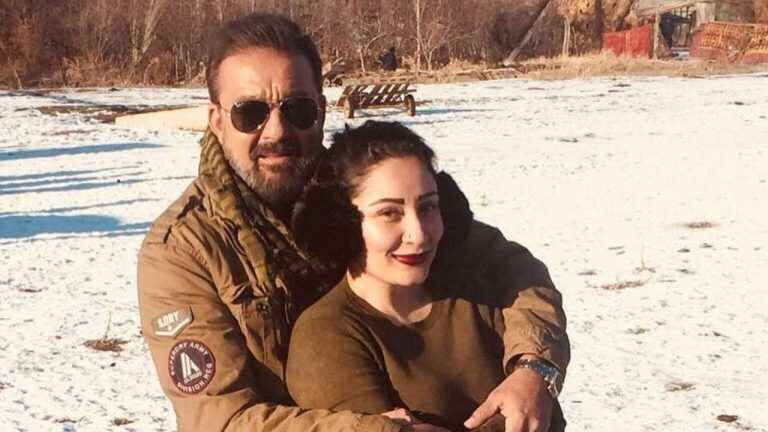 Remember Sanjay Dutt and Maanyata's loved-up post from their Budapest trip in November last year. Or the family picture from Shahraan and Iqra's eighth birthday.